I suppose this is a toned down version of glam rock, its a shame you can't really see it. I am wearing a Zara fully feather jacket, a glitterly gold vintage blazer with a black and gold chain mail top from H&M with some topshop leather trousers,my boots which are barely visible were £3 from a car boot sale. im currently making a camel jump suit to sell so i shall keep you posted. 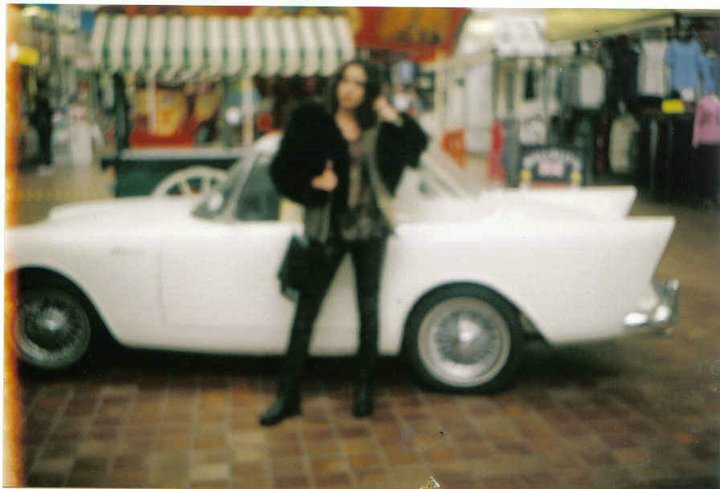 love the car and the blurry image and the coat and the trousers and everything.